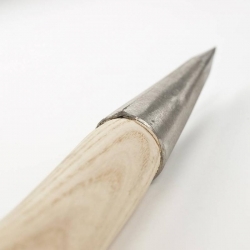 Dibber. 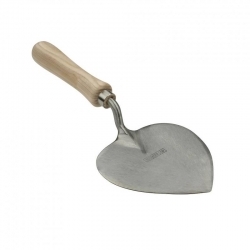 This unusual shaped dibber is a joy to use. 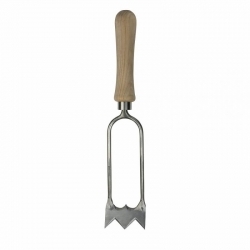 The ash handle fits comfortably in the hand and it comes with a sharp stainless steel spike.Designed to quickly plunge to the desired depth and width, it is useful when planting multiple seeds and bulbs. 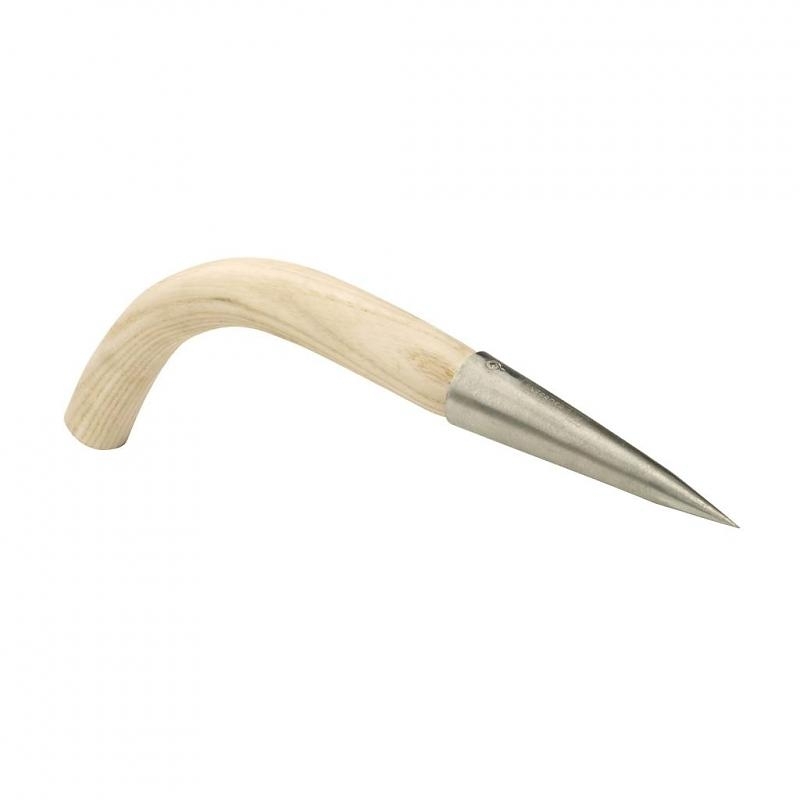 The finely sharpened tip makes this an extremely effective dibber, and the steam-bent ash handle offers a comfortable grip when working from a kneeling or seated position. 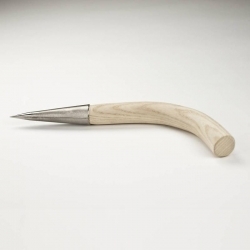 It has a 12,5 cm head and an overall curved length of 40 cm.